Amongst the UK passenger arrivals records are those of a number of journeys made by the two Alfred Barrett Sacketts. ABS1—The Revd Alfred Barrett Sackett (1862–1951)—served as Chaplain to the Forces in Gibraltar before and during the First World War. He was awarded the OBE for this work. ABS2, his son,—Alfred Barrett Sackett (1895–1977)—was a distinguished headmaster of Kingswood School in Bath, Somerset, and was an active leader in the Methodist church. A large number of UK passenger arrivals records are posted this month on The Sackett Family Association website. These are transcribed from images of original records and cover the period 1878–1960. Further work is needed to identify some of the passengers. Others are well-known to us. 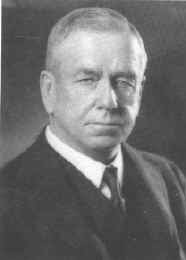 Amongst these is the Hon Frederic Moseley Sackett, making the transatlantic voyage in 1930 to take up his appointment as US Ambassador to Germany. The record shows that he stopped off en route at the American Embassy in London, presumably to meet UK dignitaries and perhaps for further briefings from the US staff there. Several records relate to Sacketts returning from India, and these will prove helpful in identifying the families of some of the Sacketts found recently in the India Office records at the British Library. The annual election of Association Committee members is under way. Although the elections are uncontested this time around, the candidates would still appreciate your support. These are the first elections to be held under the new rules agreed by the Association last year. These new rules were designed to encourage greater participation in Association affairs. Association president Don Hertzler and Nominating Committee chairman Tom Smith have both said how pleased they are to see a full slate of twelve candidates for seats on the Committee. The candidates' list and their election statements may be seen on the Association website at Committee Elections 2009. Association members may vote via the website or TSFA mailing list. 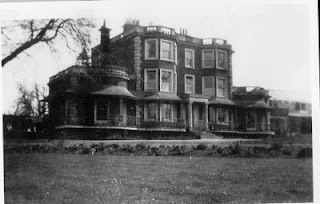 A splendid collection of photographs of Sackett's Hill House has come our way, courtesy of Nick Smyth, who was born there. Nick had been in contact with Jill Attwell of Orchard Cottage, Sackett's Hill, but had lost contact and then got in touch with Chris Sackett through The Sackett Family Association website. Members who attended the reunion in Thanet last September will recall that we were trying to find information on the mansion house that had burned down. Nick's contribution to our records fills in a lot of gaps. The photographs explain, too, the strange story of the owner who had installed a railway to carry his guests to the house from the main road. The pictures, and an article about Sackett's Hill, are on the Association website at Gallery > Sackett's Hill, St Peter in Thanet, Kent.